Gabrielle Melchionda is a hapless entrepreneur who fell into business while working with monkeys and studying anthropology. She began making lip balm when she was 19, selling it out of her car and launching her life’s work and the company Mad Gab’s. 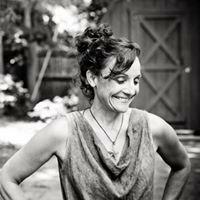 A lifelong writer and dinner-party story teller, Gabrielle is a mother to two sons and has lived in and around Portland, Maine for over 20 years.